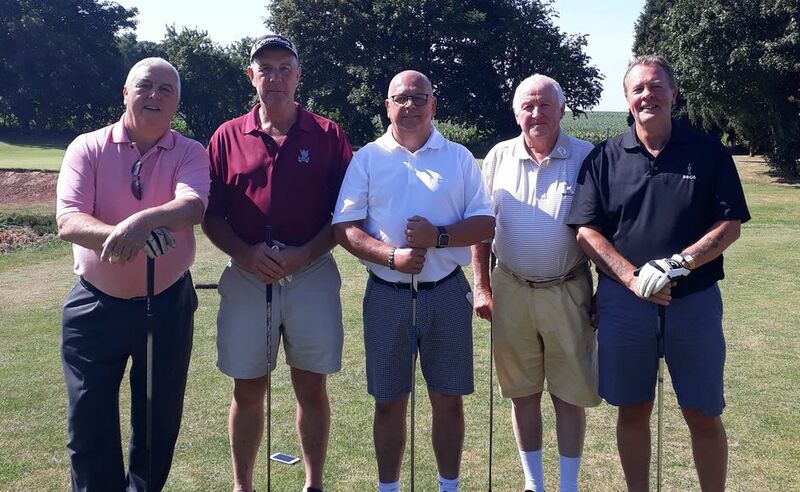 ‘The Watford Boys’ have been visiting Market Drayton Golf Club since 2005. They are all long-standing friends who play in a society together and drink in their local. Just a few lines to let you know how much we enjoyed our Away Day at Market Drayton earlier this week (Monday April 23). Our members were hugely impressed by the condition of the course, even if the pace of the greens surprised a few of them! Most felt that the fairways are so immaculate that it is almost impossible to "duff" a shot. This was our first taste of summer rules after the grim summer - which caused postponement of our original booking - but there was never a thought that picking and placing was ever necessary. The tasty food and extremely efficient, friendly and patient staff are also areas of expertise that many other clubs could learn from. The whole experience has meant I have had excellent feedback all week and I would like to thank yourself, James and his colleague (Nick?) and Ange together with all the clubhouse staff for making the day so enjoyable. We will certainly spread the word! Can you please pass on my thanks to your Club Committee for letting us host our County Boys game v Notts on Sunday. Everything was perfect with the course in excellent condition. Both teams commented how good the greens were if you could pass on to your Head Greenkeeper. Thank you to James for his assistance. Can you especially pass on my compliments to Angie & all her staff. They had a very busy day but looked after us as normally, brilliantly. The service, value & quality of food in my opinion and I visit a lot of Golf Clubs in the County is the best. Hopefully we will be able to book another County Boys fixture next year. We played in the Seniors Open on Thursday. This is the first time we had come to your course and we all thoroughly enjoyed our day with you. 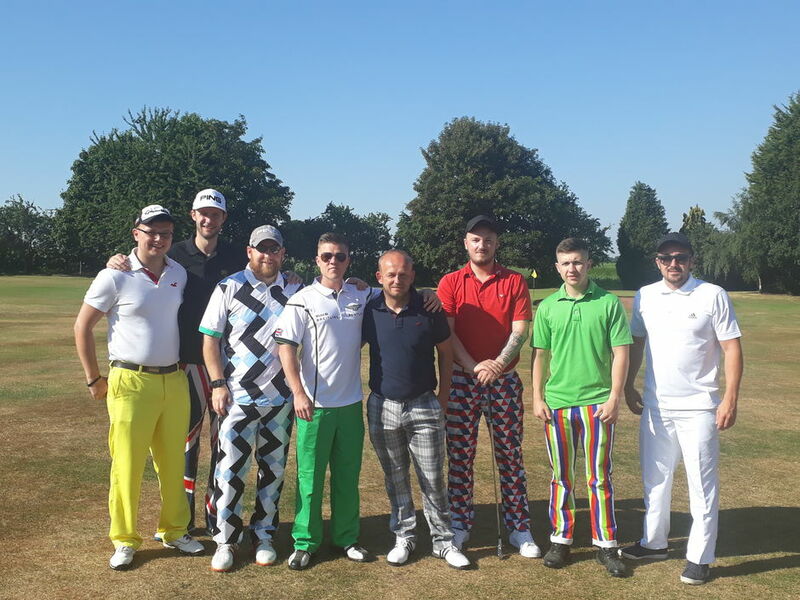 Congratulations are in order to your team of green keepers for producing an excellent course on the day, I would be grateful if you will pass on our comments to them. The meal we had after our round was great value and very tasty. Please pass on our thanks to all concerned in the organisation and running of the day. We hope to return to play again at some point in the season, hopefully, having now played the course, our scores might improve, but if they don’t, we will still enjoy the views, course and hospitality of your club. ... Once again I thank you and Market Drayton for your hospitality. The coach home saw a few closed eyes...a few of us “flat trackers” found it hard work! I hope we can match our experience when you visit us. Just to say that we (24) golfers enjoyed our day immensely. The course was in good order, challenging for all at different times, the catering from Chelsea and her team was tremendous. We were pleased and delighted to be met by Hilary Brady - who very kindly provided wine for the meal tabled – many thanks to all concerned. We were favoured by glorious weather to enhance everything. Just to let you know that we all had a great day at Market Drayton and felt that the course, hospitality, food and staff were fantastic. Just a quick email to say a big thank you for our golf day. We had a fantastic day the food was very, very good, we were very warmly welcomed by all. We would not hesitate to recommend your club, and hopefully we can book again for around the same time next year. I would like to thank you and your staff for a wonderful day. Chealsea and her catering staff were most helpful and presented our members with a hearty breakfast. Mr Wright in the pro shop saw to our every need, your course is a little gem, may you all have a prosperous 2017. Cracking course . Good test of golf! Facilities excellent. ! Excellent golf course and quite challenging. Severe frost/frozen greens ruined the round slightly but will definitely be returning later in the year! I wish to formally record our appreciation for the manner in which James initially dealt with our request, the excellent service and food at breakfast followed by a most enjoyable 18 holes. On behalf of hubby Keith. He has just returned home from what he says was a great day out at your Club. The weather as he left this morning was a bit "iffy", and did eventually turn into rain! No such thing at Market Drayton! Sunshine all the way! A warm welcome awaited Him and his group( from The Chase), the course was superb, everyone was friendly... And oh yes... The breakfast was to die for!! Thank you and see you in 2017! Great course. Lovely food and really nice friendly members. I love playing this course. The photgraphs below were sent in by Steve Wattam who stayed in the Bungalow on the 8th October. An absolutely fabulous course. The members call it "the hidden gem" and they are not wrong. A very scenic undulating parkland course that will test your accuracy. A great variety of holes some with elevated greens or off elevated tees. The new professional, James Wright, could not do enough to help. All staff and members friendly. I played in the pouring rain and the course played well and I enjoyed it immensely. If you fancy a round in Shropshire you could do a lot worse than play here. Definitely visit again. Thanks for your hospitality,our group has been in the course bungalow this w/e 2nd year we've been and we'll be back! 10/10 All your members who we've come across either on the course or in the bar make us feel so welcome as well 10/10 again. On behalf of BLOXWICH NOMADS can l thank you and all the staff at Market Drayton GC. Members with regards to all aspects of the visit. praising the Kitchen Staff.............for successfully feeding 20 grown men. Great autumnal day to play this course which was in great condition, greens especially were in top condition for this time of year. Plenty of trees lining fairways to catch any wayward drives. A beautiful course. We have stayed in the bungalow on the course three times now and think it's fantastic value. Very friendly club who make you feel very welcome and can't do enough for you. beautiful course very hilly lots of hard walking but well kep and great game. I played this course on 24/9/2014 with some friends in a golf society. We were made very welcome on arriving at the course, and the bacon bap and tea/coffee were excellent. The course itself was in excellent condition with lovely fairways and excellent greens. There are quite a few bunkers, but they too were in good condition and more importantly all consistent with just about the right amount of sand in them. There isn't that much rough about, but there are lots of trees, however it is generally easy enough to find your ball amongst them though the falling leaves could be a problem later in the autumn. The course is quite undulating with some nicely elavated tees to greens below, but you will get quite a few sidehill lies as you go round the course. After the round is over you will find that the clubhouse prices are very reasonable indeed and be able to relax in comfort and discuss what was, and what should have been. Recommended? yes, will I go back again? I really hope so.